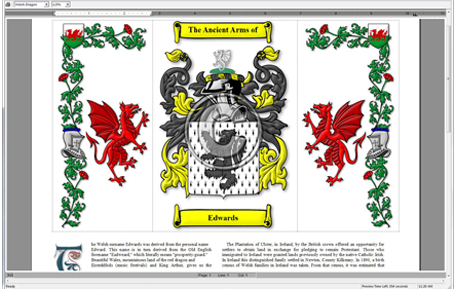 Armorial Histories show the Coat of Arms ‘supported’ on either side by origin specific border graphics. All the graphics are printed by your ink-jet or color laser printer… use any paper you want!! 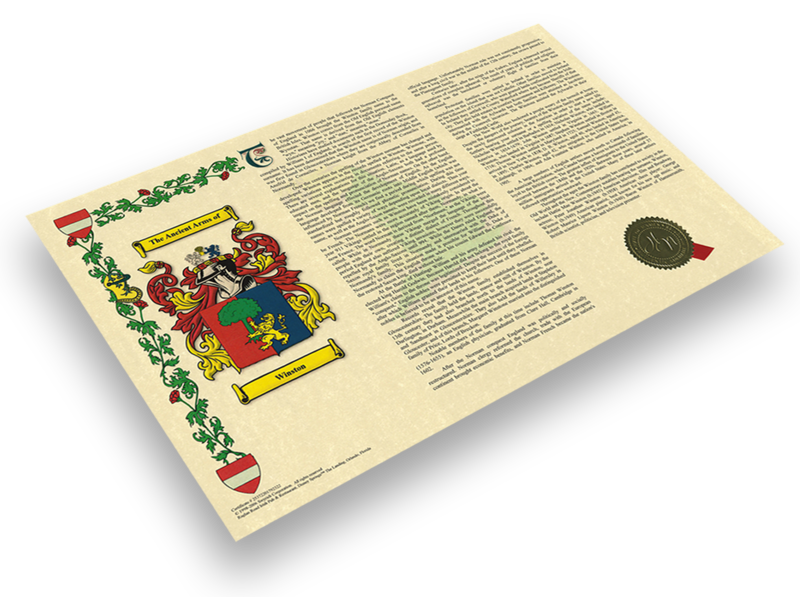 Extensive research of the ancient armorials has resulted in our collection of over 1,000,000 Family Coat of Arms in our computer from most European nationalities. Regular Updates are provided by downloads. With the click of a mouse, your local system automatically downloads and installs the latest software and dbase records. We would never buy something without seeing it first. Would you? Swyrich has technical/computer expertise in depth, which is amply confirmed/displayed throughout the entire product line and the regular updates of same.